Kindle Fire, 7", Wi-Fi, 8 GB - Includes Special Offers Just $39.99! FREE Shipping! You are here: Home / Great Deals / Amazon Deals / Kindle Fire, 7″, Wi-Fi, 8 GB – With Special Offers Just $39.99! FREE Shipping! Kindle Fire, 7″, Wi-Fi, 8 GB – With Special Offers Just $39.99! FREE Shipping! 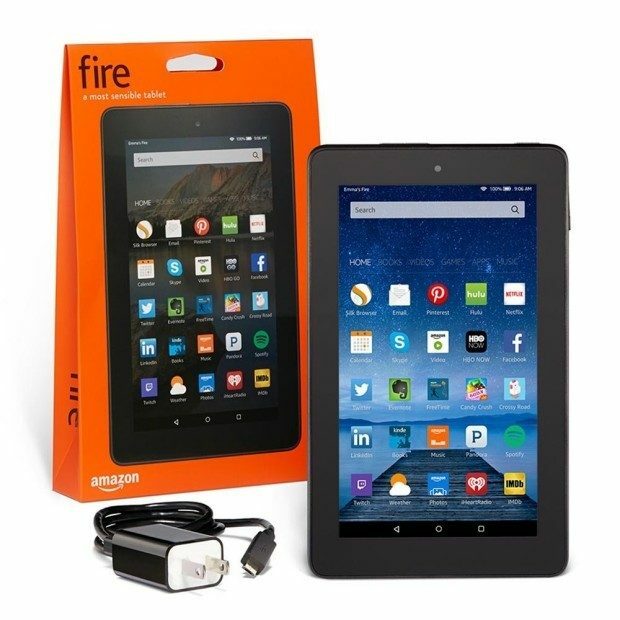 Head over to Amazon and get the Fire, 7″ Display, Wi-Fi, 8 GB – Includes Special Offers Just $39.99! Shipping is FREE!